My partner asked me to make a card for his Granddaughters 7th birthday - let me side track for one minute...........I live with my partner but I don't really know if I like this term, partner but I don't like the other choices - Other Half or Boyfriend (think I'm too old for that one) and as we're not married I can not call him my husband! If anyone has another name/term, please let me know. 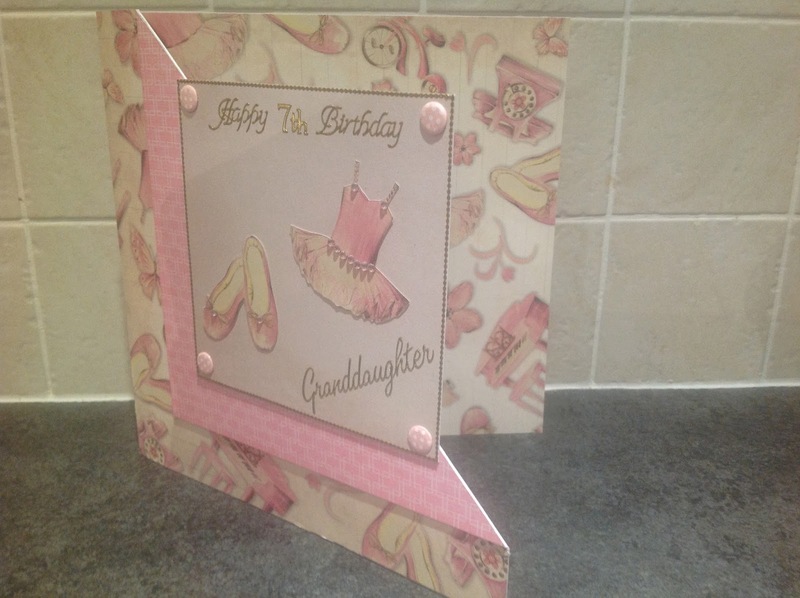 .....Back to my card, his Granddaughter does ballet, which she enjoys and she loves the colour pink. 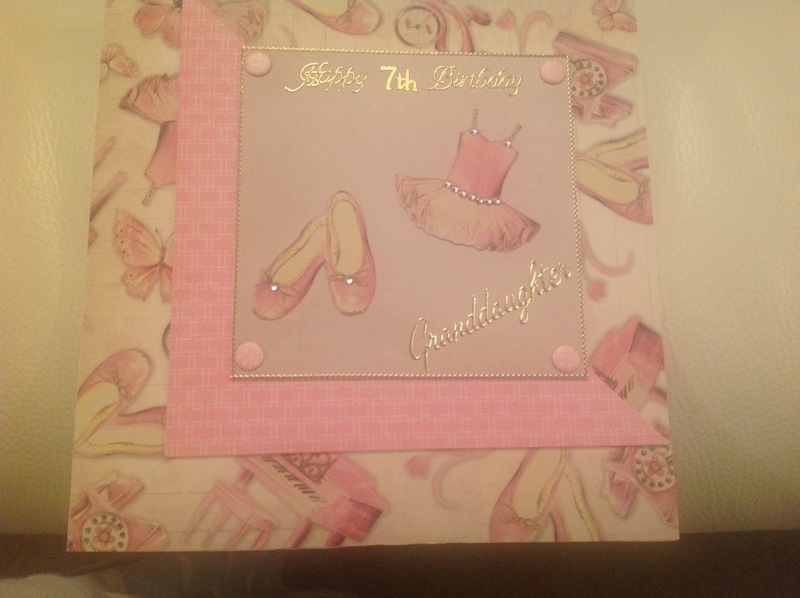 I had some 12 x 12 paper which I had bought sometime ago, it had pictures of ballet shoes, ballet dresses, bicycles, telephones, butterflies and it was coloured pink. 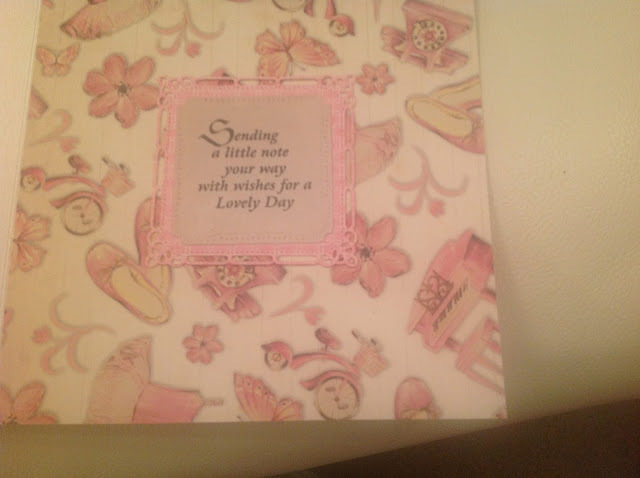 I covered the front and inside of an 8 x 8 card. 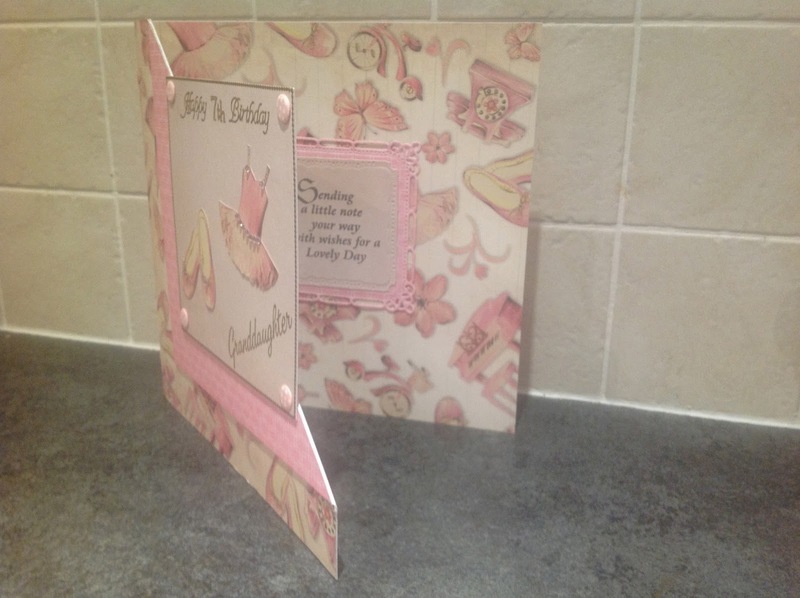 I turned the front of the card over and covered this triangle shape in some different pink card. 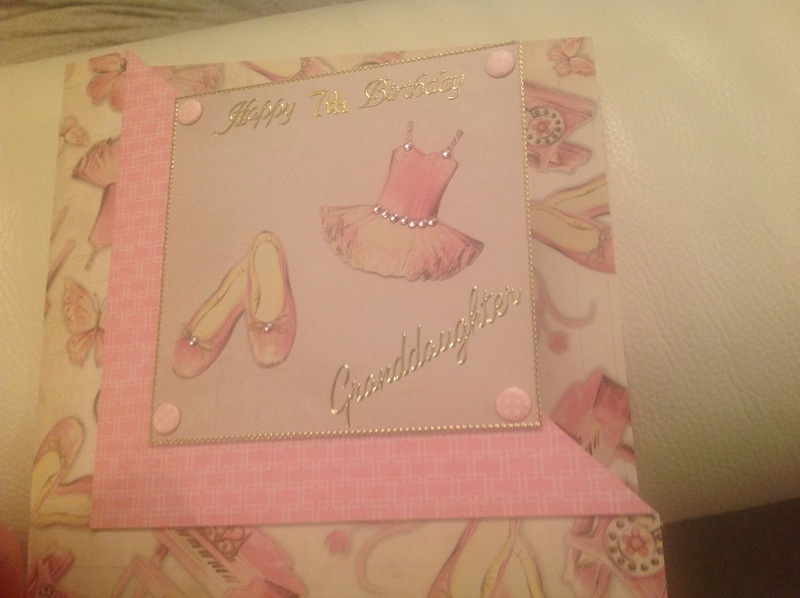 I cut some square card, and cut out the ballet shoes and ballet dress from the patterned paper, I mounted these onto the square card. I trimmed the dress with some pink gems and put a gem on each of the ballet shoes. I trimmed the square card with some fine line peel offs, the wording was also peel offs, I also placed four candy dots in each corner. On the inside of the card I cut out a frame, using a spellbinder die and stamped a little verse, from Clarity Stamps. Hope you like it, I know his Granddaughter did. Stop by soon, to see what I make next.